It seems everywhere I turn, I see Makeup Revolution's products being raved about. It's definitely with good reason. This affordable line has recently become available at Ulta, so it's easier than ever to try their products. I have one of their bronzer palettes and most recently, their new Vivid Shimmer Brick Highlighter in Radiant. 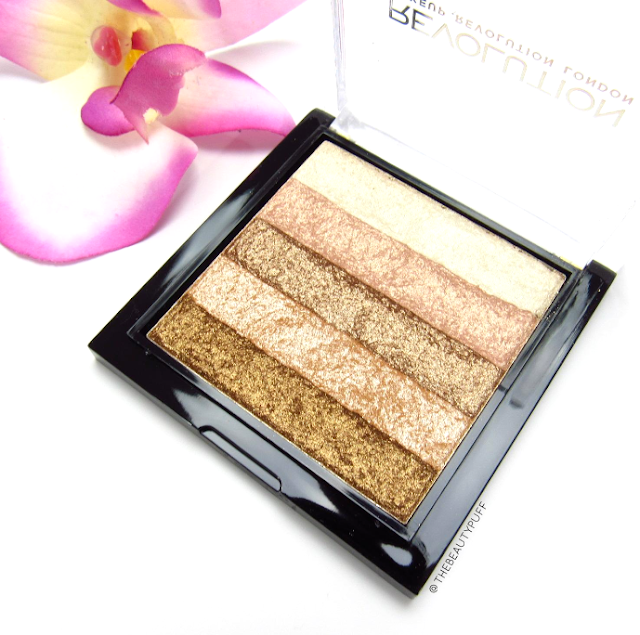 Shimmer brick highlighters have become really popular over the last few years. Not all have been as affordable as Makeup Revolution's, but it certainly doesn't lack in quality. This shimmer brick can be used to give an all over glow, or you can focus on particular shades. I personally love the combination of all the shades. It has a great balance of lightness and warmth. I would start with a light hand when first applying this highlighter, because it is very pigmented and a little goes a long way! If you are traveling with this highlighter, you could also use the individual shades as eyeshadows. I love a multi-tasker! There's definitely enough variation to achieve a simple, shimmery eye look that's perfect for summer. The versatility of this highlighter has really come in handy on mornings I'm short on time. Overall, the quality and pigmentation of the Vivid Shimmer Brick in Radiant is fantastic. 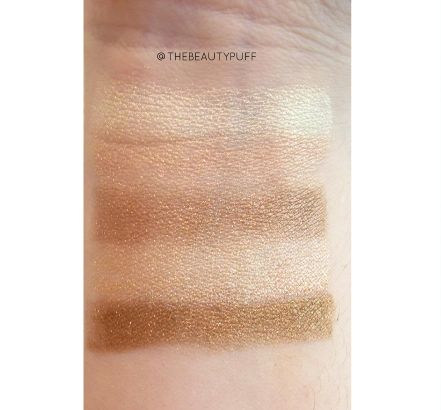 If you're looking for an affordable highlighter, you need this in your collection!